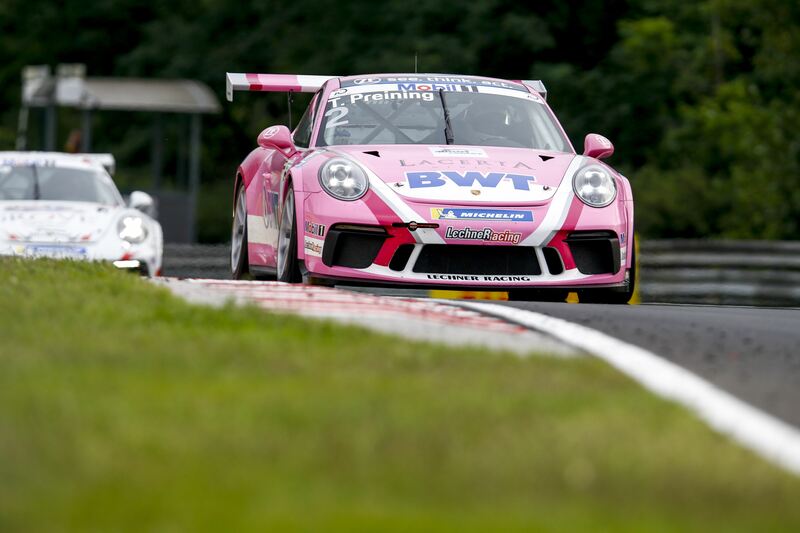 With four races in five weeks, the Porsche Mobil 1 Supercup finished off an intense first half of the season at the Hungaroring near Budapest in Hungary. The race weekend was incredibly hot for all the drivers, where the PMSC cars were lucky only to drive in the dry, whereas some of the other classes had to deal with some heavy showers. The race was done under brilliant sunshine, but it meant that the drivers had to nurse their tires through all 14 laps. 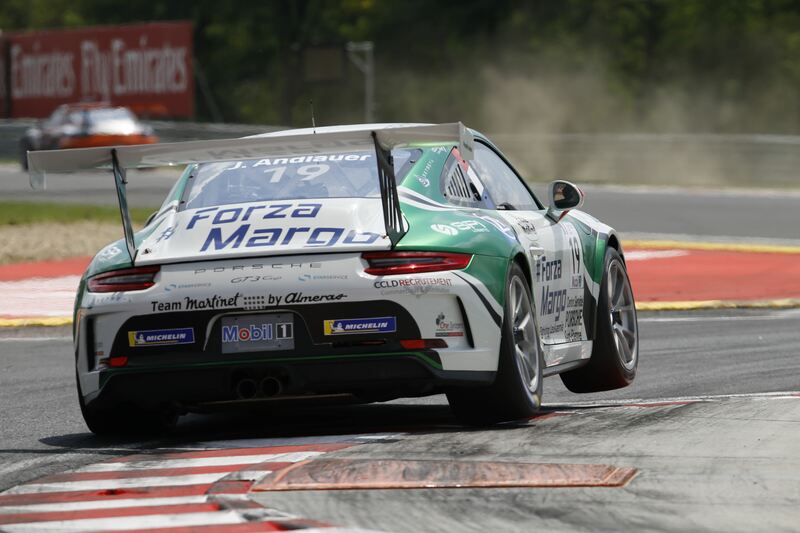 Porsche Junior kører Thomas Preining had grabbed his second Pole Position of the season ahead of the other Porsche Junior driver Julien Andlauer, while Zaid Ashkanani was another young driver in the Top-3, before Christopher Zöchling and Jaap van Lagen added some experience into Top-5. Championship leader Michael Ammermüller started the race from P7, just ahead of his closest opponent in the Championship, Nick Yelloly. Dylan Pereira had another bad qualifying, and was starting all the way back in P12, so he most likely would see the two potentially pull even further away in the standings. The young Dane, Mikkel Overgaard Pedersen had done another good qualifying, after his P2 last week, and was starting the race from P10, with just 0,4 of a second to P3. The field was “only” 28 cars deep this time, after a few rounds with 30+ for the last few races. Another car didn’t make the start since Chris Bauer had a technical issue with his car before the start. Preining made a good start, while Ashkanani tried to get around Andlauer in Turn 1, but ended up losing a spot to van Lagen. Philipp Sager hit the rear of Khalid Al Wahaibi in Turn 1, which send the latter facing the oncoming field. There was a lot of debris on the track, so Race Control decided to send out the Safety Car to get it cleared up. Yelloly had made a really good start of the race, and was already in P5 before the SC was deployed, and even had managed to keep Ammermüller behind, which was very important for him. Dylan Pereira made a move on Larry ten Voorde for 8th, but got a gentle shoulder barge, resulting in Pereira having to do a few extra meters in the run-off area, losing a position to Florian Latorre. Mikkel Overgaard Pedersen and Josh Webster had a fight for 13th, where the positions went forth and back a few times, with the Brit ending up on top. Ammermüller was right underneath the rear wing of Yelloly and the Englishman had to find all his best defending moves, to keep the defending Championship behind him. Thomas Preining won his second race of the season, ahead of Julien Andlauer and Jaap van Lagen. Zaid Ashkanani took home 4th, ahead of Nick Yelloly and Michael Ammermüller. So Ammermüller defended his lead in the Championship ahead of Yelloly, while Dylan Pereira just held on to P3 ahead of Julien Andlauer. 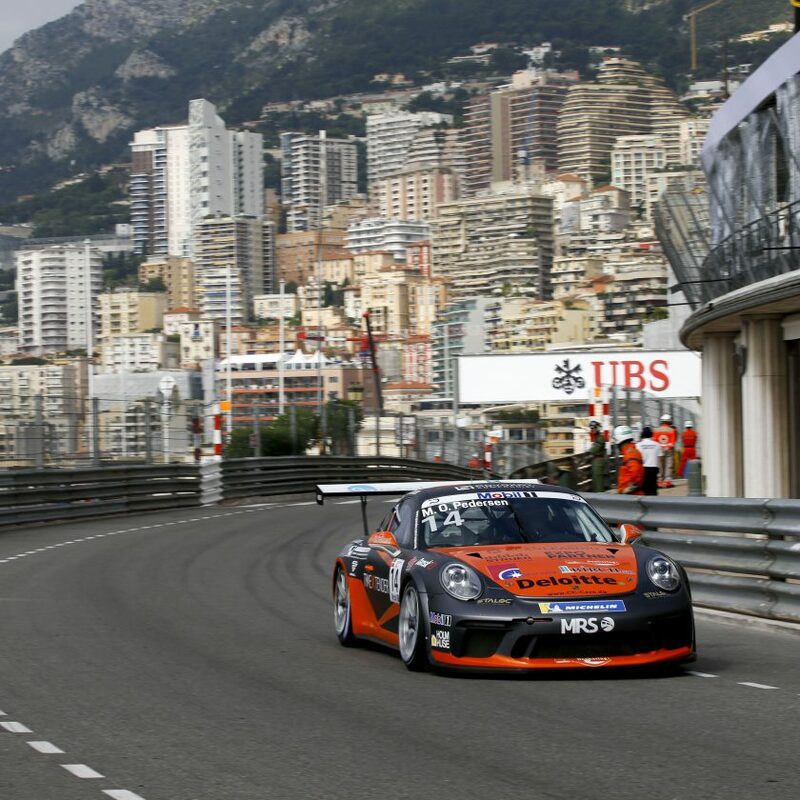 The Porsche Mobil 1 Supercup will now have four weeks of summer holiday, before the race at Spa Francorchamps on 26 August.